The skirt is almost finished! We should hem it now, and as I promised, I'll show you three different techniques you can use depending on the type of fabric you used to make the skirt. The first method I'll show you is appropriate for thin and lightweight fabrics like lining, viscose, cotton, linen. 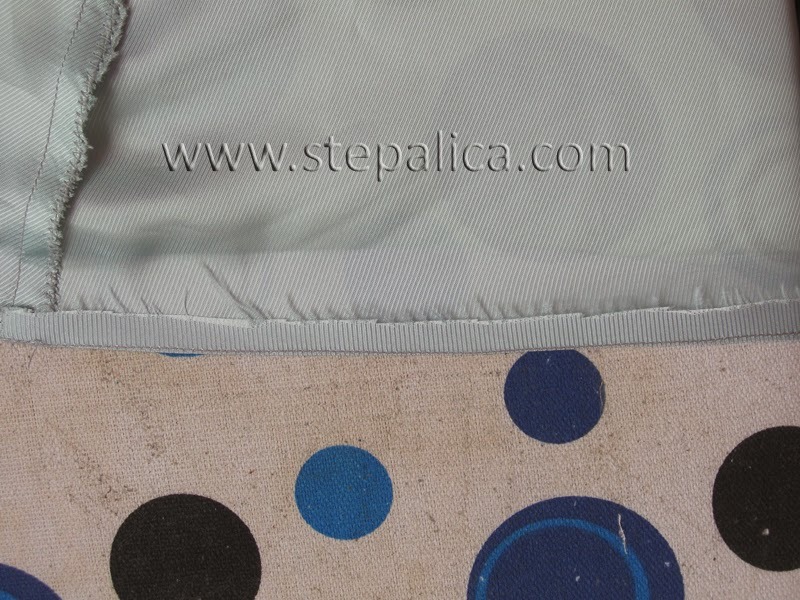 Also, it's appropriate for those skits that can show off some topstitching on the right side of the fabric. 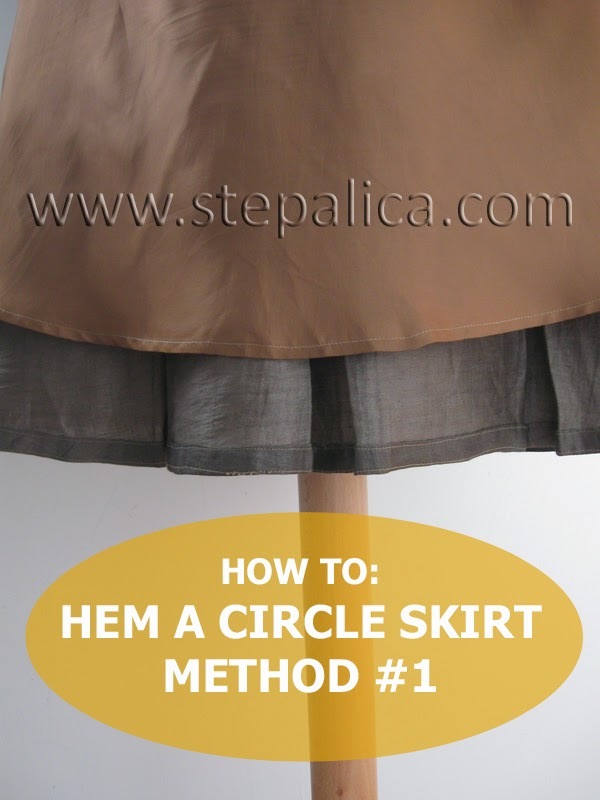 I used this method for hemming lining on all three skirts, and I used it for hemming the skirt B.
Circle and half circle skirts and skirts with curved hemline in general can be tricky since the fabric slips and doesn't fold evenly on curves. There's a simple solution to the problem though. I'll show you the technique on the lining, and you can use it on the skirt as well. Make a stitch around the skirt's hemline, by stitching approximately 0.5 cm away from the bottom edge. 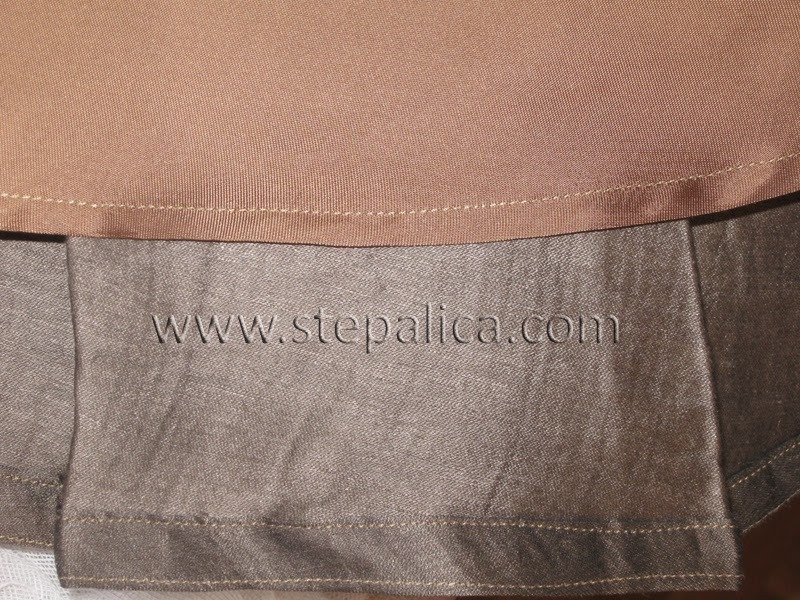 The stitch will stabilize the fabric and it will provide a guide for the fabric folds. 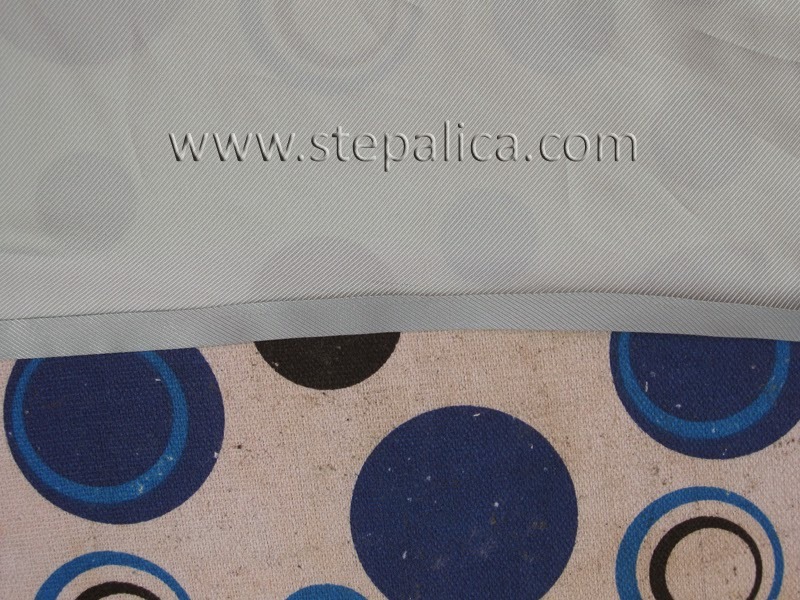 Fold the fabric with wrong sides together along the stitched line and press it. Fold the fabric once again towards the wrong side of it. 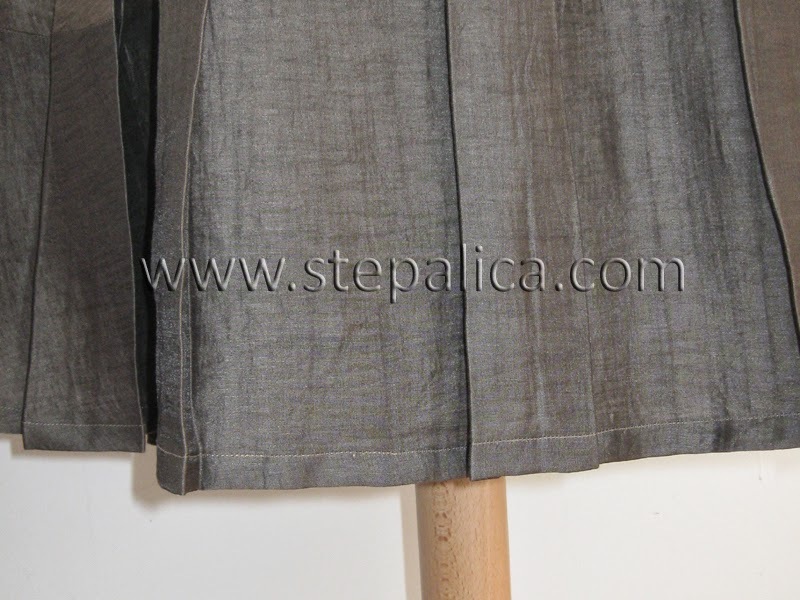 This time, the amount of fold should be equal to the width of the hem your skirt should have. Press the edge. 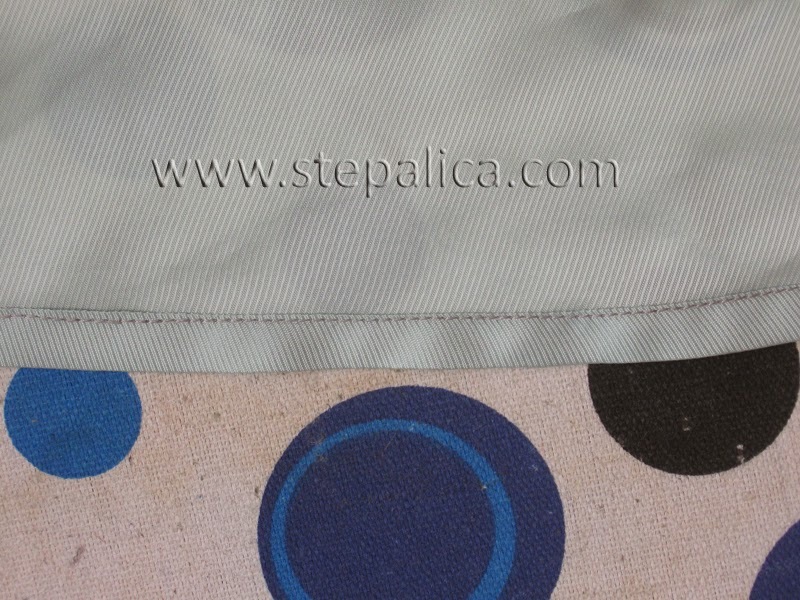 When working with lining, I always fold it by 0.5 cm, since it does not require a wide hemline. When I was hemming the skirt, I folded the fabric by 2 - 2.5 cm. When using this technique, don't make too wide folds at the hemline because the bottom edge is always longer than the top one, and there's always an excess of fabric you've got to deal with. The narrower the fold is, the easier it will be for you to spread the excess fabric equally so that it doesn't show off. I didn't use pins on the lining, but I did pin the hemline when I worked on the skirt. I placed them perpendicular to the hem line and pinned on every 5 cm. The pins kept the fabric in place and helped spread the excess fabric evenly along the hemline. 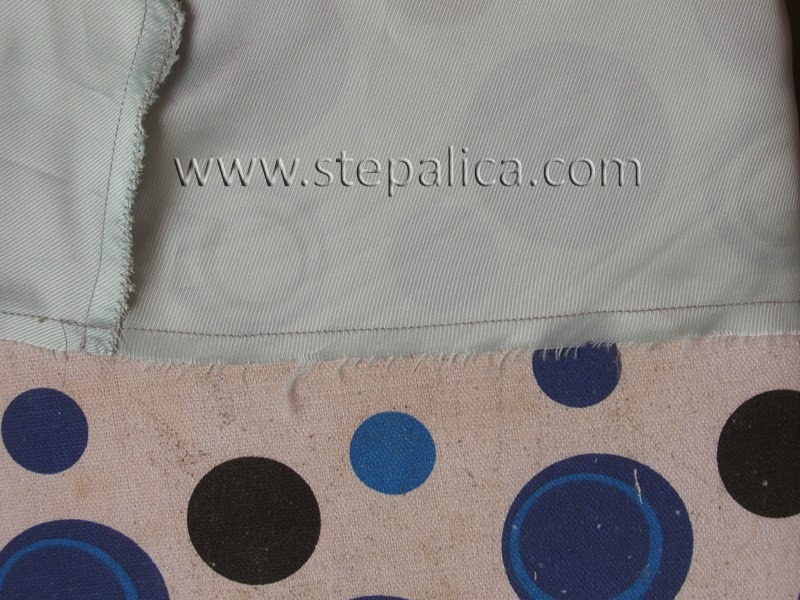 Sew the hemline by stitching as close as possible to the top fold. Press the hemline once again. While pressing the hemline the pleats must have lost their shape, so press them back in place. Tomorrow we'll cover another hemming technique, suitable for most of the fabrics that can show of some topstitching, like cotton, linen, denim, corduroy, twill etc.